With the recent news of Crashplan's exit from the consumer cloud backup market, we know many of you will be looking for a new solution to switch to. 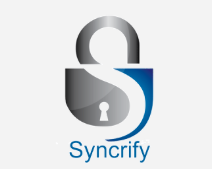 We encourage you to try Syncrify, our private cloud solution. Syncrify is free for home use and is only $49.00 per license for business environments. The unique thing about Syncrify licenses are, they are perpetual. Although Crashplan has urged their users to switch to Carbonite, we feel it is our duty to provide you with a better alternative. What does Syncrify offer that competitors don't? Here is a list of features that you will hardly find in any other solution. Most backup products in the market are single-tier. Syncrify on the other hand, is a Multi-Tier backup. Click here to learn more about the difference between single and multi-tier backup system. Syncrify offers a private-cloud solution - meaning you create your own cloud. Files from the source machine will get saved to a machine that is in your control. No other company will ever see or store your private files. Most companies that offer cloud based back ups charge according to the data you store on their disk. The more data you store, the more you pay. On the other hand, you pay one low price that is irrelevant of the disk usage. It does not matter if you backup 100 MB or 100 TB. You only pay a small fee for the machines where Syncrify client is installed. It does not matter if this machine is a laptop, desktop or a server. Many competing products have different packages and you pay differently depending upon where you install. Syncrify not only backs up modified files, it also transfers modified data within a file. It is very common to have files that are in gigabytes but only a few megabytes change on daily basis. Syncrify will intelligently transfer only the modified data with a file, tremendously decreasing time and network bandwidth. Backed up files can be accessed from any machine or mobile device. Users cannot only view or download files but can also send them via email to anyone they chose. Click here for details. Many backup solutions provide a one-way file transfer - meaning files are backed up from one machine to the destination. Both Syncrify server and client run on a variety of operating systems such as, Microsoft Windows (XP and higher), Mac OX X and Linux. You decide which OS you would like to install Syncrify on. Many backup softwares only work on a Microsoft Windows. This means you will need a different solution if you want to backup a machine running Mac OS X. While there are many backup solutions on the market for you to try before you're Crashplan service crashes, theres no reason to wait to try Syncrify for free today! Sign up today for a 30 Day Free Trial to see if Syncrify is a good fit for your backup needs. If you have any additional questions about Syncrify or its features please send an email to our support team at support@synametrics.com or call us at 609-750-0007. We are happy to discuss our solution and make your transition from Crashplan as easy as possible.